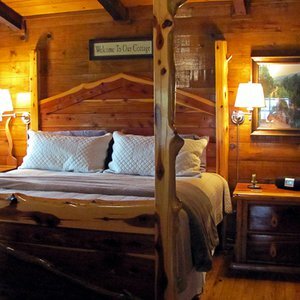 Twelve log-style cabins are offered at Rivers Edge Cottages, located on the picturesque upper Mountain Fork River in southeastern Oklahoma. 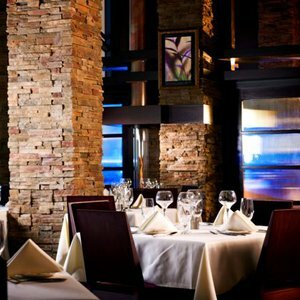 The setting is secluded, peaceful and ideal for couples or families in need of a getaway. 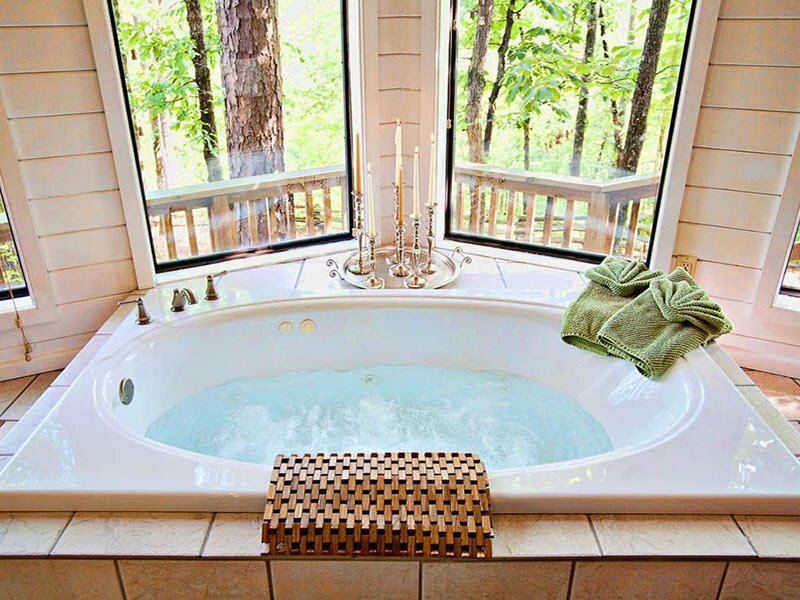 Each of the cottages is fully furnished and includes a charcoal grill, Jacuzzi tub, fireplace and queen-size beds; some offer outdoor hot tubs. There are no phones or televisions in Rivers Edge Cottages, so guests can enjoy the peace and quiet of nature. Some cottages offer WiFi. 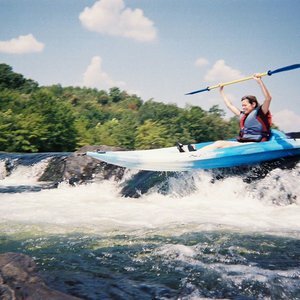 Canoes and mountain bikes are provided at the cottages for no extra cost. Rivers Edge Cottages offers both couples-only cottages and cottages for a group or family of up to eight people. There are six of each. 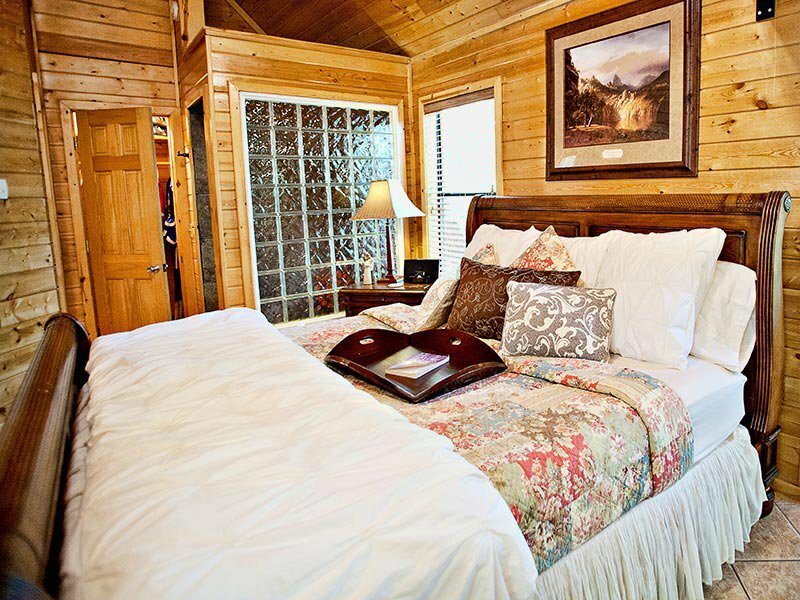 Mountain Chalet is a couples-only cottage and is perfect for a romantic trip, featuring private decks, bathrobes for two and a wood fireplace. 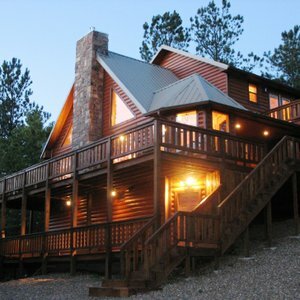 On a family vacation, Rivers Ridge is a great choice. 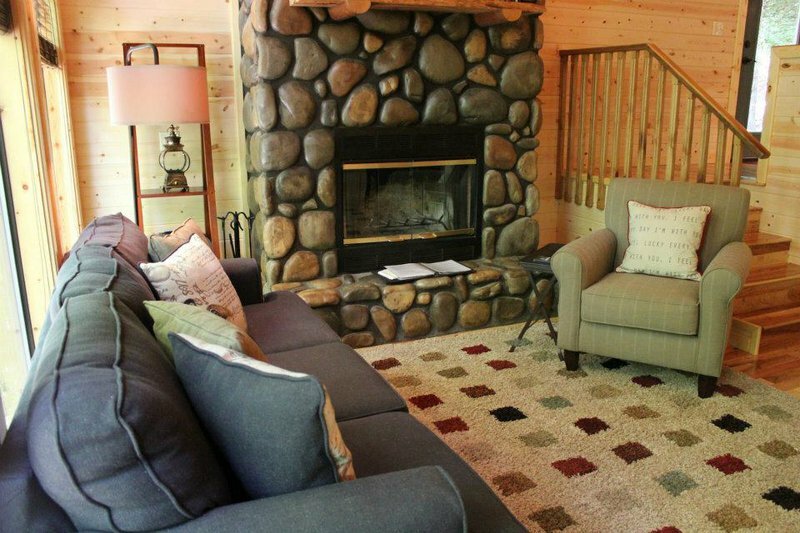 This cottage offers a game room with a foosball table and pool table, six-person hot tub and card table, and guests can make their way outside for a game of horseshoes or to roast marshmallows by the fire pit. 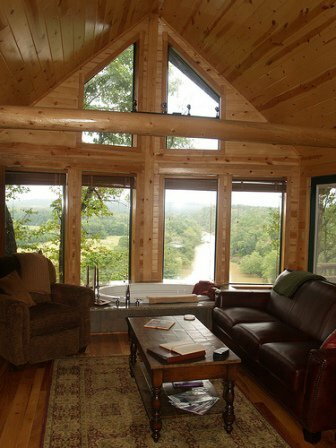 Four cabins, the Streamside, Bear, Riverbend and Homestead, are pet friendly. However, pets must be leashed outside of the cabin. Wireless internet is available in five cabins: the Homestead, Whispering Heights, Windsong, Mountain Chalet and Mountain Escape. No Sunday check-ins. Open 9am to 9pm Monday through Saturday. Office is closed Sundays. Call anytime for info prior to 9pm. From Broken Bow, take Highway 259 north for 38 miles to Smithville; take Highway 4 east to Watson; go north on Goat Rock Road for 3 miles (mostly dirt road); follow signs.